Going on holiday with kids is a lot of fun, but you need to make sure there is plenty for them to do. While you might be happy to chill out by the pool with a paperback thriller and a cool cocktail or two, kids need to be entertained and excited. Don’t forget, it’s their holiday too – and if the kids are happy, you’ll be happy. Fortunately, there are plenty of holiday destinations that are perfect for kids. The key to picking the best holidays for kids is to think about what they’ll really enjoy. Younger kids will be thrilled with a long, golden beach and a warm, welcoming sea. Older kids want added stimulation – a water park, sports clubs, disco. Teenagers? Well, that might all come down to personal interest but make sure there’s plenty to do. A quiet resort probably won’t go down too well, but a buzzing city break like New York or a beach holiday offering a range of watersports could easily do the job. Choose your accommodation wisely, too. Hotels with a gym, tennis courts and access to games consoles and free WiFi surely wins big parent points. 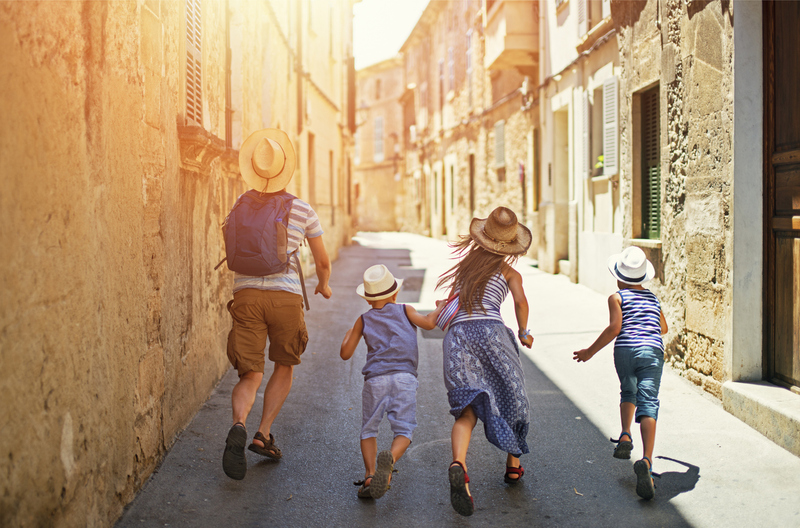 Whether you want a brilliant beach holiday, a show-stopping long haul trip, or a city break rich in culture, here are our four suggestions for the best holidays for kids. Do your kids love theme parks? Are you looking for a long haul destination that spectacularly delivers on the sun, sea and sand front? Then head to Dubai. It’s closer than you might think, with average flight times from the UK at just under seven hours, and prices tend to drop a little from September onwards. 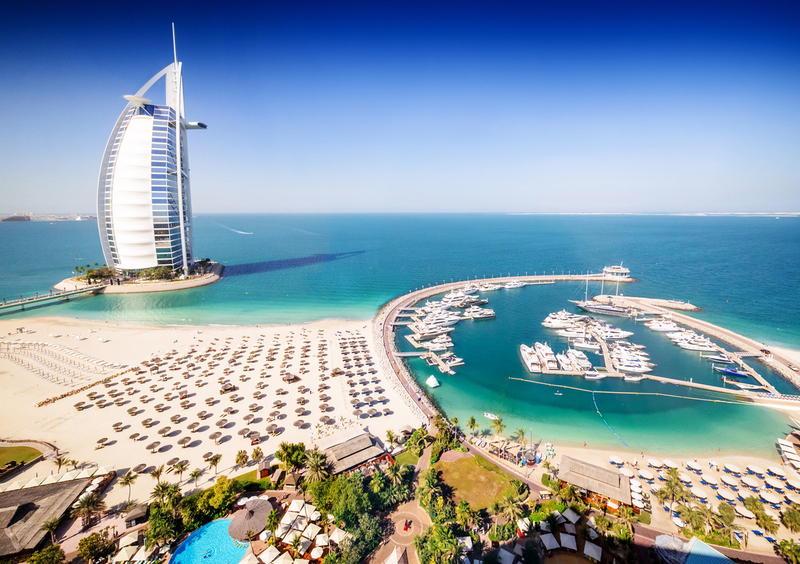 Once there, you can’t fail to be impressed by Dubai. The hotels are luxurious and towering, the beaches vast and pristine. If shopping is a passion, the Dubai Mall is the largest of its kind in the world in terms of total area. It’s packed with designer stores, restaurants and entertainment, with an aquarium, underwater zoo, 22-screen cinema and ice rink. But back to the theme parks. Last year, IMG Worlds of Adventure – built at a cost of $1 billion and the size of 28 football fields – opened its doors. Unsurprisingly, it’s the world’s largest indoor theme park. There’s also Motiongate. Inspired by Hollywood, it opened in December 2016. Bollywood Parks Dubai and Legoland Dubai will also delight young visitors. For teenagers, New York is an amazing destination. Its reputation and standing as the coolest city in the world is well deserved because it offers so much that it’s virtually impossible to be bored. In fact, there’s so much to experience that you probably won’t be able to fit everything in – it’s one of those cities that, once visited, you’ll no doubt vow to return, and as soon as possible. It’s definitely among the best holidays for kids but everyone in the family will fall in love with New York. Tick off the major tourist attractions – the Empire State Building, Times Square, Brooklyn Bridge, Statue of Liberty, Central Park – but also just spend time soaking up the atmosphere in the Big Apple. The city has such an eclectic mix of neighbourhoods and areas that visiting New York is almost like visiting several different cities in one go; Manhattan, Little Italy, Chinatown. Ride the subway and take a trip in an iconic yellow taxi. Shop – lots – and eat loads; do not leave New York without sampling pizza and cheesecake. 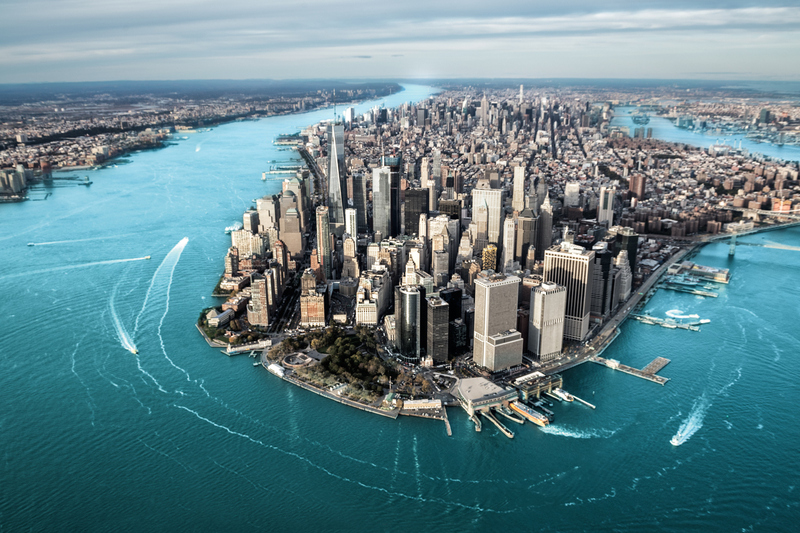 If you can, and want to extend your holiday in New York, explore beyond the city. There are several beaches in and around New York, while you could also spend several days staying in Long Island and the Hamptons. All in all, taking the kids to New York will be an unforgettable experience. Older kids and teenagers will love Rome. It’s a prime holiday destination for hungry minds looking to soak up culture, sightseeing and history, and for hungry tummies too. In Rome, there’s all the ice cream – or gelato – you can eat, as well as bowlful after bowlful of delicious pasta and oven-fired pizzas from streetside pizzerias. 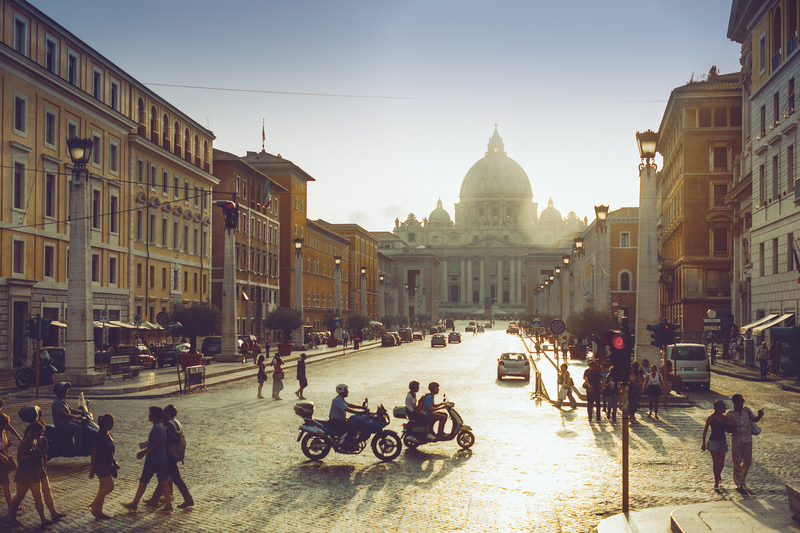 Rome, the capital and heartbeat of Italy, is colourful and chaotic, and utterly mesmerising. Every building looks like a work of art; the city is the perfect history lesson. Take in the beauty of the Colosseum, Pantheon, St Peter’s Basilica, the Spanish Steps, the Trevi Fountain – toss a coin in, and you’re destined to return one day – and the Vatican. Stroll around at your leisure or, for some kid-size fun, hop on a Segway tour and see the sights that way. When legs grow weary, take it down a gear. Rome is wonderful for stopping for a cool drink and watching the world – and other people – go by, listening to the buzz of chatter and hum and passing mopeds. Or, relax in one of the city’s parks and green spaces, including Villa Ada and Villa Celimontana. Villa Borghese is Rome’s most famous parks, offering bike hire and cinemas – the Cinema dei Piccoli is said to be the smallest in the world. For an inspiring shorter holiday with kids or a long weekend, Rome is an excellent choice. If it’s a classic beach holiday you’re after, in a destination that caters for children of all ages, then Majorca scores well in just about every area. This member of the Balearic Islands is a superb all-rounder – for toddlers, older kids and teens. No matter where you stay in Majorca, you’ll be greeted by lovely, clean white sand, charming little coves and striking scenery. Bars and restaurants are plentiful, family friendly, and welcoming. If the kids fancy a change from splashing in the sea and playing the sand, look up some of the many attractions to be found in Majorca. There are some excellent waterparks on the island – Western Park and Aqualand El Arenal are highly rated, while the Hidropark in Alcudia has a fantastic range of slides and games, including floating water balls, a kamikaze slide – great for older kids – and mini golf. On firmer ground, there is lots to enjoy. One of the best trips, surely, is the wooden carriage train ride from Palma to the little town of Soller. The train is over 100 years old, and the route winds through mountains and the most picturesque of scenes. There’s an Ostrich Farm, a Jungle Farm in Santa Ponsa, and an aquarium at Palma that offers the chance to have a ‘sleepover with sharks’. That’s right – kids can spend a night of fun and games, sleeping by what is one of Europe’s deepest shark tanks. The post 4 of the Best Holidays for Kids appeared first on TravelRepublic Blog.